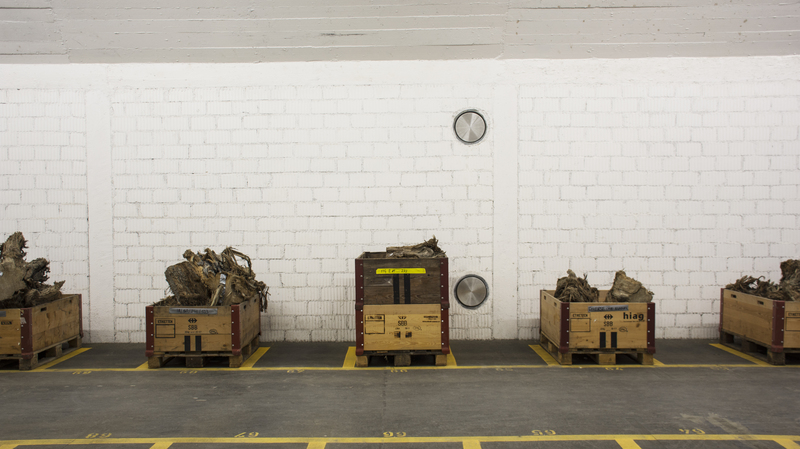 Mock-up for a three-channel video installation featuring footage of a storage facility at the Swiss Federal Institute for Forest, Snow, and Landscape Research. 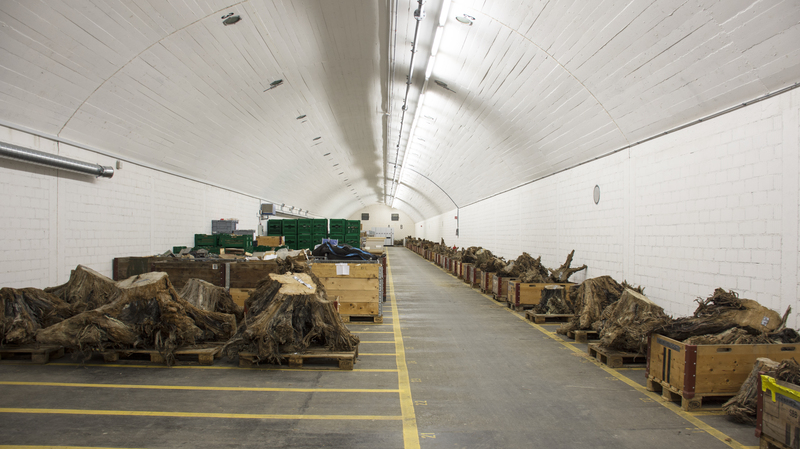 The storage facility, a former Cold War munitions bunker, currently houses tree samples, including the specimens from the 2013 discovery of a sub-fossil pine forest in Zürich, Switzerland. Dating back to the end of the end of the last ice age, The Biz Pines, once living, encapsulated in successive layers of clay and sediment, entombed underground; now housed, once more underground, in a facility first built to house ammunition, the space illuminates the many complexities, layers of history and time that can be in embedded in a site, its contents, the environment and in architecture. 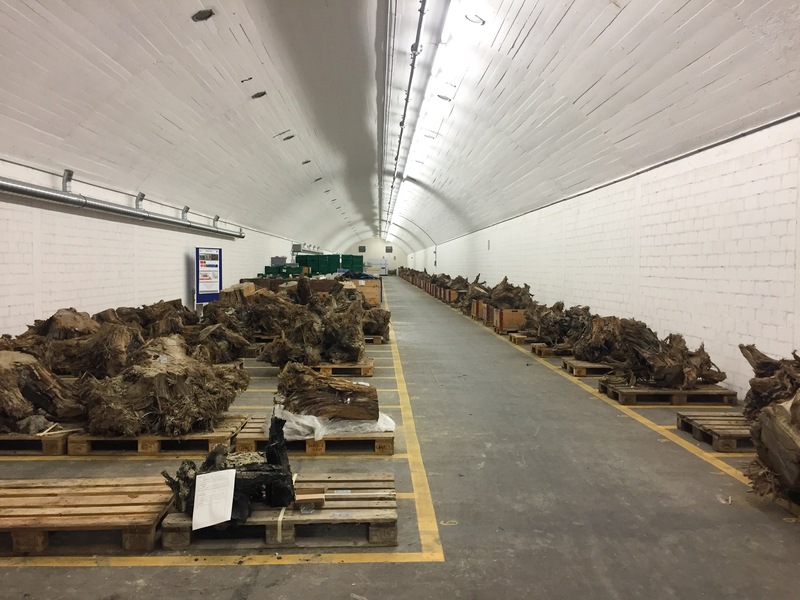 In its final form, the installation will provide a spatial and time-based facsimile of the location where the trees are now and include images of micro-sections and density samples taken from the trees. 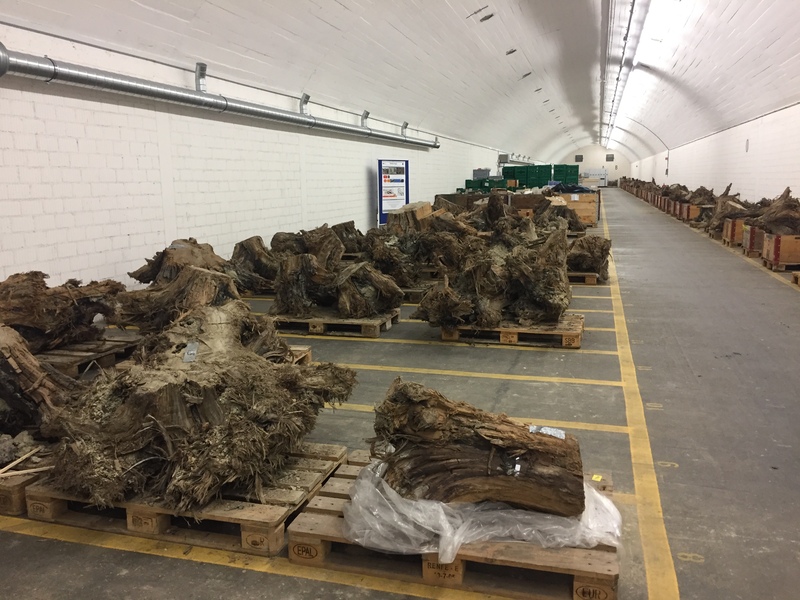 Specimen images courtesy of the Swiss Federal Institute for Forest Snow and Landscape Research (WSL) This project is funded in part by Tufts University’s School of the Museum of Fine Arts, Boston 2018 Traveling Fellowship., MA. Before Present (Mock Up) from Erin Woodbrey on Vimeo.